Justice Miller was appointed by the Supreme Court as a CJEO member in 2017. She began her judicial career in 2005 at the San Francisco County Superior Court where she served in both criminal and civil assignments, including the law and motion department. 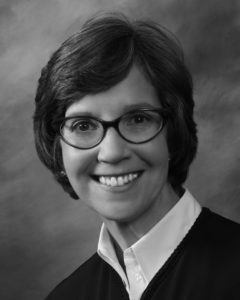 Justice Miller was appointed to the First District Court of Appeal, Division Two, in 2014. She currently serves on the Judicial Council Advisory Committee on Civil Jury Instructions. Justice Miller’s prior committee work includes the Judicial Council of California Access and Fairness Advisory Committee, the Bar Association of San Francisco Board of Directors and the State Bar of California Committee on Women in the Law. Justice Miller has taught evidence in civil and criminal cases for the experienced assignment courses at the California Center for Judicial Education and Research, and jury trial management at the B. E. Witkin Judicial College of California.